Add Réno Dépôt to your favourites! Add BMR to your favourites! Catalogue BMR In-store Expires today! Réno-Dépôt is Quebec's expert in construction and renovation. Their huge warehouses have the largest selection of items for home improvement and Réno-Dépôt gardening at unbeatable prices. 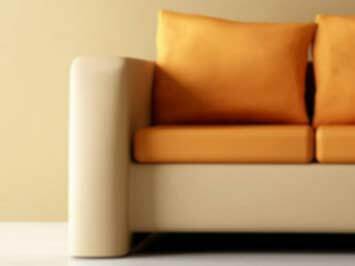 You’ll be sure to walk away with everything you need, whether you’re a home improvement enthusiast, or a contractor. Go to Réno-Dépôt online to find your nearest Réno-Dépôt location and Réno-Dépôt hours. Search through their flyer for weekly specials and Réno-Dépôt coupons. 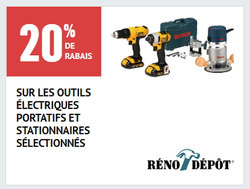 Make sure you try out Réno-Dépôt rentals if you need to borrow a tool or truck. Réno-Dépôt even installs your purchases. Just schedule an appointment and certified workers will take care of the rest, whether it's electricity, plumbing, outdoor roofing, or a Réno-Dépôt patio. The company was founded in 1939, but the first Réno-Dépôt location opened in 1993 in Brossard, Quebec. There are 18 Réno-Dépôt locations, mostly in Quebec but also in Ontario and Alberta. Réno-Dépôt employs some 8,300 people. Réno-Dépôt is currently owned by RONA. 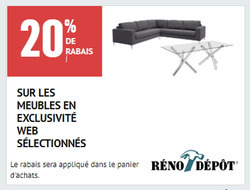 Do you want to receive more Réno Dépôt deals by email?